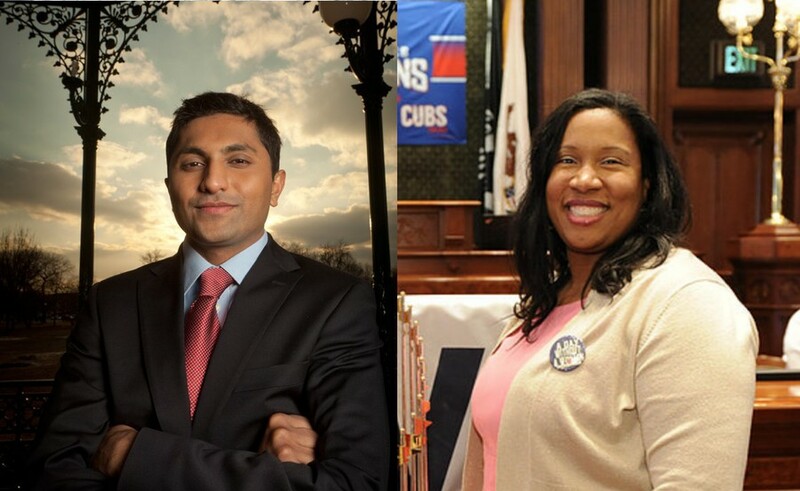 Melissa Conyears-Ervin, State Representative for the 10th district, will face 47th Ward Alderman Ameya Pawar (S.M. ’09, A.M. ’16) in an April 2 runoff election for Chicago treasurer. Conyears-Ervin leads with 44.16 percent of the vote, compared to Pawar’s 41.76 percent, with 94.06 percent of precincts reporting as of 10:20 p.m. on Tuesday night. Both camps said around 8:40 p.m. that they expect a runoff. Pawar added that he plans to launch the second round of his campaign on Wednesday morning. This election marks the first contested race for treasurer since 1999, with three candidates vying for the vacancy left by Kurt Summers’s departure. The third candidate, certified public accountant Peter Gariepy, trailed with 14.08 percent on Tuesday night. As representative for the 10th District, which includes much of Chicago’s West Side, Conyears-Ervin has sponsored bills addressing Illinois school code, progressive income taxes, sexual misconduct issues, criminal justice reform, and support for working parents. Conyears-Ervin’s platform stresses the need for financial accountability and transparency; she intends to conduct audits of Chicago Public Schools and other sister agencies of the City, which include the Chicago Transit Authority and Chicago Park District. She also hopes to release reports on finances in a centralized web portal. Conyears-Ervin also plans to bring the functions of several government entities, such as the City’s Office of Financial Analysis, under the jurisdiction of the treasurer. She has described Pawar’s proposal for a municipal public bank as a “powerful tool” to keep private banks in check, but one that needs more thorough vetting. Both the Tribune and Sun-Times endorsed Pawar, who proposes a progressive platform that includes a citywide universal basic income and a public bank. He advocates for a Chicago version of U.S. Representative Alexandria Ocasio-Cortez’s “Green New Deal” that would push the city toward more environmentally friendly investments. Pawar gave himself a two-term limit in his current seat as 47th Ward alderman. He had a short run for Illinois governor in early 2017, citing the financial barriers to entry of one of the most expensive races in history as the reason he dropped out. During his tenure as alderman, Pawar spearheaded legislation that guaranteed paid sick leave, raised the minimum wage, and combated wage theft. In September 2018, after Pawar introduced a resolution calling for a program that would pay 1,000 families $500 per month, Mayor Rahm Emanuel appointed him to a task force addressing whether to implement universal basic income in Chicago.